In the last few years more and more foundries have appeared on the Internet. 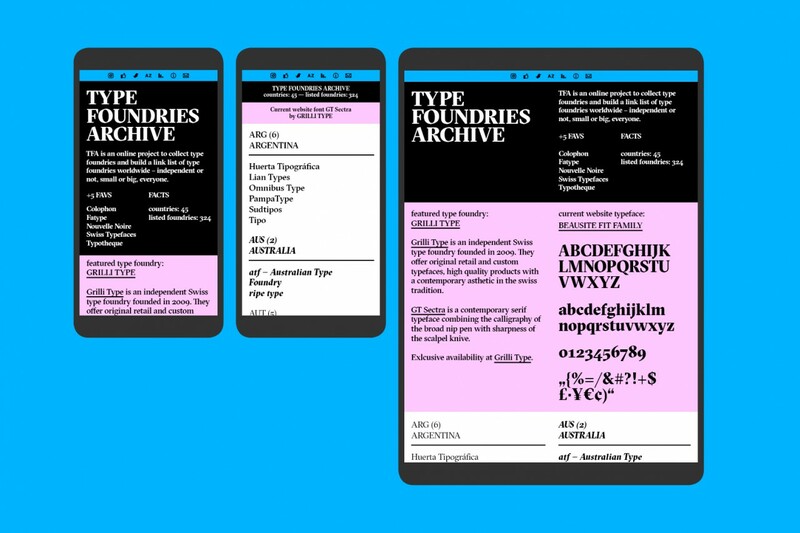 Single designers, small agencies or collectives started their own foundry. Some tried to collect these increasing number of foundries in books. 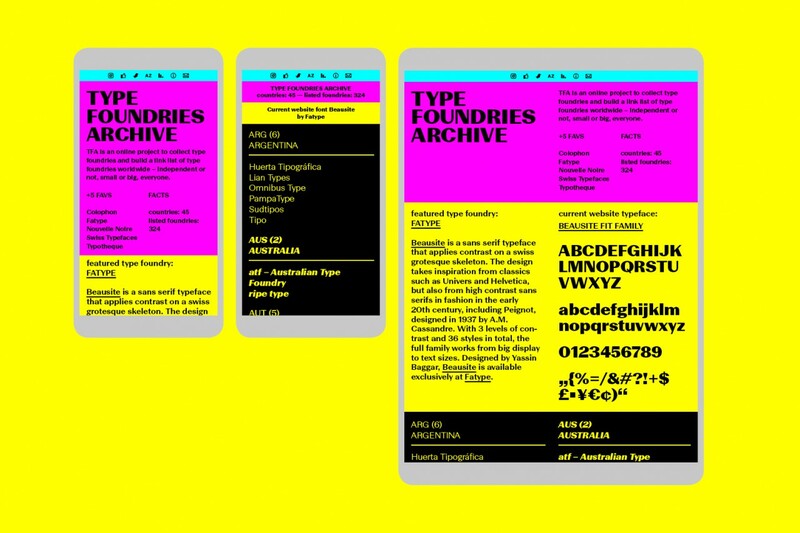 TFA thinks, that a link list is probably the most interesting and powerful tool to stay up to date with the type design scene. TFA was established 2012 by Marcel Häusler. The website design changes regularly with a feature of new type foundry.